Xiom Vega Pro - This is one of the spinniest table tennis rubbers available on the market. During the attacking game, this rubber mediates a very intensive feedback when tangentially hitting the ball. The trajectory of the ball is extremely curved/bent allowing for new, successful moves when playing close to the table. The dynamics of this TT rubber are overwhelming - with every attacking stroke you do. Although the Xiom Vega Pro has a hard sponge, during the passive game, this rubber continuously provides a clear feedback of the ball. Many players search for an alternative to the Butterfly Tenergy 05. The Xiom Vega Pro TT rubber is probably the best choice! 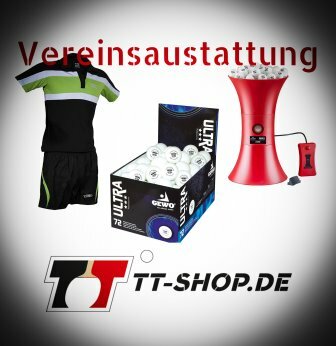 Solely considering the RRP of the Xiom Vega Pro (35,90 €), this table tennis rubber is 21 Euro cheaper compared to the Tenergy (56,90 €). The Xiom Vega Pro is the most popular rubber within the Vega series. It is equipped with the so called Carbo sponge, and its sponge is quite hard (47.5°). This is responsible for the highly direct touch, a clear feedback, and the necessary amount of penetrating power in order to put your opponent into trouble. The basic speed characteristics of this rubber are quite high already. Hence, the Xiom Vega Pro can indeed keep up with the speed characteristics of the Butterfly Tenergy 05. 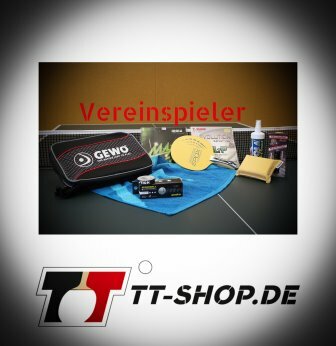 The Vega Pro table tennis rubber is designed for the game close to the table (in exceptional cases also for the game from the half distance). A lot of speed can be generated with only little physical effort. The Xiom Vega Pro offers the biggest advantages for tough, uncompromising attackers. This rubber particularly develops much power when doing topspins, shots, and counter-topspins. Whilst many other rubbers are currently equipped with a pronounced catapult effect, this was deliberately avoided considering the Xiom Vega Pro. This rubber allows for a very clear perception when the ball hits the bat. On negative aspect is the susceptibility to spin. 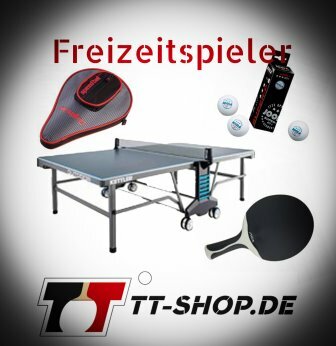 Because of the high basic speed of this table tennis rubber, there are certain risks during the passive game: You first need to completely master/control this rubber! Then, its full potential can be exploited which is very beneficial for rigorous attackers. Xiom Vega Elite : This rubber "forgives" errors and mistakes, and behaves in a very pleasant, safe way. Furthermore, the Vega Elite provides sufficient dynamics when playing controlled attacking strokes.